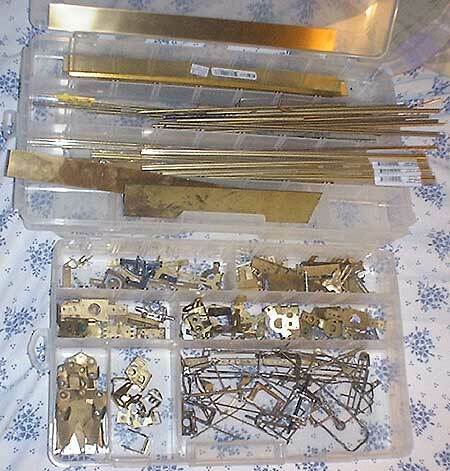 In the years 1963-1966, several companies responded to the scratch builder's need for brass parts, to solder together into slot cars, among them E. E. Crane, Dynamic, K&S and Aristo-Craft. In addition, motor vendors provided brass motor mounting brackets, for the scratchbuilder. The pages that follow are an attempt to catalog many of these parts, so the collector and restorer can identify their specimens. In these same years, several of the same manufacturers released complete chassis scratchbuilding kits, but I will try to cover the chassis kits-in-a-bag at another time! These pages are a work in progress. I welcome your additions and corrections. Thanks!